Baby footie in extra soft chenille to the touch. Material: 80% cotton 20% polyamide. Light blue color. 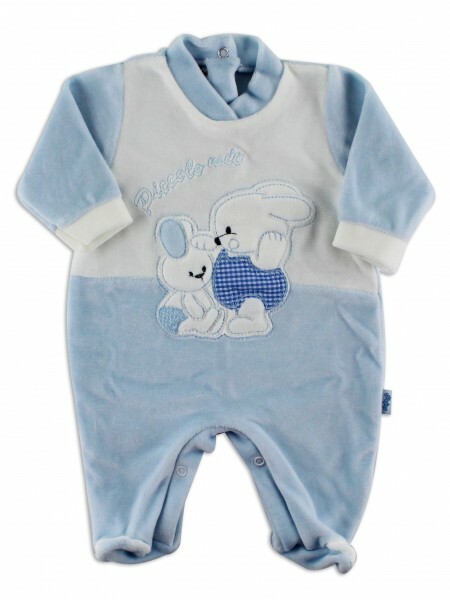 On the white top of the baby footie there is applied a rabbit with its small, checkered fabric inserts. The words "My little one" are embroidered. Size 1-3 months. Opening with little pressured buttons.